The engine is the heart of any functioning car. It’s one aspect of looking after and running a vehicle that you simply can’t compromise. 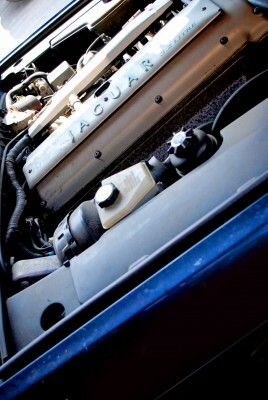 Diagnosing a fault with your engine is not always easy and it can be even harder to repair. If you believe that your engine is struggling or, worse still, failing, make sure you take a look at the nine most common issues relating to car engine failures below. Not all engine problems are serious and can be remedied relatively quickly, but all of them can cause engine breakdowns and, in the worst-case scenarios, require a brand-new engine. It’s absolutely vital that your engine receives enough oil between its moving parts. A lack of lubrication will cause unnecessary friction inside the engine, leading to overheating and worse still, the engine seizing up. Make sure that you get your vehicle periodically serviced, which includes a regular oil change to keep quantities at an appropriate level. The failure of an oil pump is extremely serious for the lifespan of any engine. If an oil pump fails it will almost certainly starve the engine of necessary lubrication. Always ensure that the engine oil you use in your engine is of a genuine viscosity, making it light enough to flow fast through the pump. Older, dirty oil has the propensity to leave deposits and debris on engine fittings such as intake valves and spark plugs, not to mention combustion chambers. As part of a periodic service at your local garage, they will regularly clean your engine’s oil filters to avoid debris becoming lodged within your vehicle’s bearings. Poor compression of both fuel and air inside a car engine is a recipe for disaster. The most common reasons for poor engine combustion is due to broken valve seals, holes within cylinders and overused piston rings, forcing air to leak out. One of the easier engine faults to diagnose is leaking engine coolant. If engine coolant is continually low once it’s topped up, it’s a sure-fire signal that there is a fault within the cooling system. The coolant should be kept free of debris and deposits to maintain a safe operating temperature for your engine at all times. Old engine coolant that’s not been kept clean over time can result in filling your engine’s radiators with unwanted sediment and deposits. This is another common cause of overheating engines. Try to avoid using hard water as coolant because you will run the risk of the radiators corroding over time due to limescale. If you are driving along and your engine is making a knocking noise it is quite possible that there is too much heat within its combustion chamber. A combination of overheating and high pressures creates engine detonation, also known as a spark knock, which can cause long-term damage to pistons, head gaskets and piston rings. An inaccurate oxygen sensor is dangerous not only for your engine but for the rest of the car too. If the sensor does not give your car the right data about how much oxygen remains in the exhaust and how much fuel is in the petrol/diesel tank, you run the risk of inefficiencies with your driving, wasting lots of money in the long run. This issue is particularly prevalent in older vehicles. Spark plugs are designed to ignite the compressed fuel in the engine of your car. An aged spark plug creates a weak ignition and can stop an engine from turning over i.e. misfiring. This is another issue that results in inefficient fuel economy and can also cause serious long-term damage to the engine. In the event your engine is too damaged and has reached the end of its life, at ASM Auto Recycling we can help keep your vehicle on the road with our huge range of second-hand engines. These used engines have been professionally dismantled at our vehicle recycling sites and cleaned and tested to ensure they are roadworthy. Note: All second-hand engines purchased from our breakers section come with a 90-day guarantee and can be delivered to UK mainland addresses free of charge. Does the steel market affect the value of your scrap car?